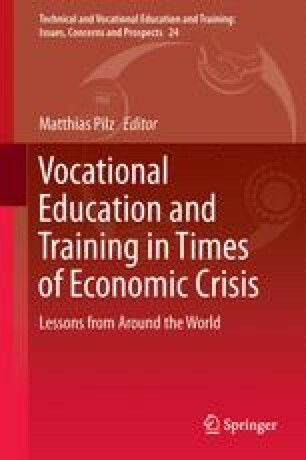 The good economic performance and low levels of youth unemployment in countries with dual vocational education and training (VET) systems have provided good arguments to the advocates of dual apprenticeships as a global role model. Many governments in the Global North have started to show great interest in adopting dual apprenticeships in their own national contexts with the aim of improving the employability of young adults and smoothening transitions from education to work. However, evaluation studies have demonstrated that the transfer of these international good practices to different local contexts is quite problematic, making necessary to understand how different designs of dual apprenticeship programmes interact with the social and economic contexts in which they are implemented, and how social actors react to these interventions. This literature review has systematised international evidence on some of the challenges and dilemmas that governments in OECD countries face when they want to implement large-scale dual apprenticeship programmes. We suggest that the main challenge they face is to make dual apprenticeships attractive to both employers and students. We conclude that the difficulty of reconciling these two goals is one of the main reasons for most of these interventions to remain as small-scale innovations and not reaching the systemic level. ILO. (2012). Overview of apprenticeship systems and issues: ILO Contribution to the G20 Task Force on Employment. http://www.ilo.org/wcmsp5/groups/public/---ed_emp/---ifp_skills/documents/genericdocument/wcms_190188.pdf. Accessed 20 Jun 2012. Pawson, R. (2001). Realist synthesis: supplementary reading 5: The promise of realist synthesis. https://www.leeds.ac.uk/realistsynthesis/Supread4.doc. Accessed 17 Jul 2012. Steedman, H. (2010). The state of apprenticeship in 2010: International comparisons. London: Centre for Economic Performance (CEP). http://cep.lse.ac.uk/pubs/download/special/cepsp22.pdf. Accessed 11 May 2016. Wolf, A. (2011). Review of vocational education. The Wolf report. London: Department of Education. https://www.gov.uk/government/uploads/system/uploads/attachment_data/file/180504/DFE-00031-2011.pdf. Accessed 10 Jun 2014.